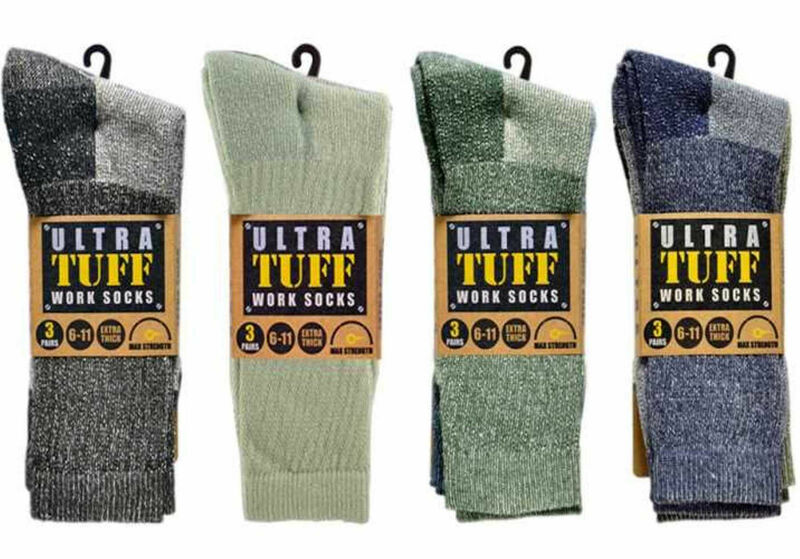 3 PAIRS OF MENS ULTRA TUFF WORK SOCKS SIZE 6 -11. Superior quality, extra thick, comfort, durable and warm. These socks are fully cushioned with extra stretch so offer comfort and flexibility. Perfect to wear with steel toe capped safety boots. Ideal for tough working environments.